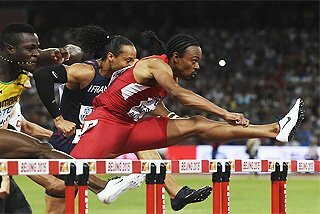 The men’s 200m and men’s 110m Hurdles will be in the spotlight at what promises to be another fabulous edition of the Athletissima meeting in Lausanne, a Super Grand Prix status meeting as part of the IAAF World Athletics Tour 2008, on Tuesday 2 September. 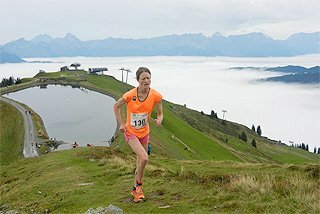 Twelve individual OIympic gold medallists, thirty-six medallists and more than sixty finalists from the Olympic Games in Beijing will compete in the Stade Olympique La Pontaise. Jamaican Olympic sprint star Usain Bolt, the first man in history to win three Olympic sprint gold medals (100, 200 metres and 4x100 relay) with World records, will run his favourite 200 metres distance on the super-fast Pontaise track which has produced big results in the past two editions - Xavier Carter’s 19.63 meeting record in 2006 and Tyson Gay’s 19.78 in 2007. 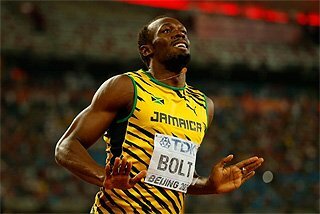 Bolt comes to Lausanne directly from Zürich where he stormed to a winning 9.83 last Friday (29). The entire Beijing podium, Shawn Crawford and Walter Dix plus World bronze medallist Wallace Spearmon will line up in Lausanne. The other highlight will be the men’s 110m Hurdles where Olympic champion Dayron Robles will clash against Olympic bronze medallist David Oliver from the USA. The two had a very close battle in Zürich with 12.97 to 12.98, with the Cuban World record holder just prevailing. It was Robles’ sixth sub-13 seconds race of the season. The men’s 100 metres has attracted seven Beijing finalists. Former World record holder Asafa Powell, who was only fifth in the 100 metres final, will take on silver medallist Richard Thompson from Trinidad and Tobago, bronze medallist Walter Dix of the USA, fourth placer Churandy Martina from the Netherlands’ Antilles, Jamaican Michael Frater (6th) and Trinidad and Tobago’s Marc Burns (7th), and USA’s Darvis Patton (8th). In the women’s 100m, the Jamaican trio formed by Olympic champion Shelly-Ann Fraser and joint silver medallists Kerron Stewart and Sherone Simpson will face US sprinters Lawryn Williams, Muna Lee and Torri Edwards. The men’s High Jump and Triple Jump and women’s Javelin Throw also offer the first three from their Beijing finals. In the men’s Triple Jump, Portugal’s Nelson Evora showed again his ability to peak for the big event of the year adding the Olympic crown to his World championships title with a seasonal best of 17.67 beating Britain’s Phillips Idowu and the Bahamas’ Leevan Sands in an outstanding competition. The trio will renew their clash in Lausanne on a runway which has traditionally produced great results (the meeting record is held by Romania’s Marian Oprea with 17.81). 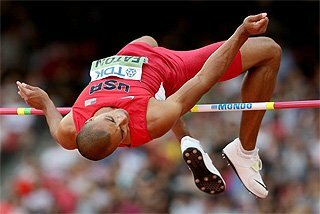 Olympic High Jump gold medallist Andrey Silnov from Russia is set to continue his outstanding summer which saw him winning in Beijing with 2.36 and clearing a 2.38 season’s best in London just prior to the Games. Silnov will square off against Olympic silver medallist Germaine Mason from Great Britain, bronze medallist Yaroslav Rybakov from Russia, and 2004 Olympic champion Stefan Holm from Sweden, who was fourth. 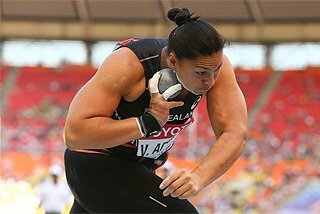 Czech Republic’s Barbora Spotakova and Russia’s Mariya Abakumova, the Beijing gold and silver medallists in the women’s Javelin Throw final, will clash again in Lausanne where German Christina Obergföll, the bronze medallist, also competes. In Beijing, Abakumova led with a European record of 70.78 until the sixth round when Spotakova speared 71.42 to take the gold. Another Olympic champion on show at the Pontaise stadium will be Olympic 400m champion Lashawn Merritt who will runs against Olympic bronze medallist David Neville and double Olympic 400 metres Hurdles champion Angelo Taylor, who was World bronze medallist on the flat in Osaka. 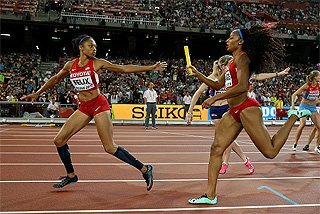 Sanya Richards, Olympic 4x400 relay gold medallist in Bejing and twice a Golden League Jackpot winner, returned to winning ways in the individual race in Zürich in a new seasonal best 49.74 and will face Jamaican Shericka Williams who beat her in Beijing. The men’s Pole Vault will offer a chance of revenge of sorts World champion and seasonal leader Brad Walker who did not qualify for the Olympic final in Beijing. Walker will battle against Russian Yevgeny Lukyanenko, who was second in the Chinese capital with 5.85. 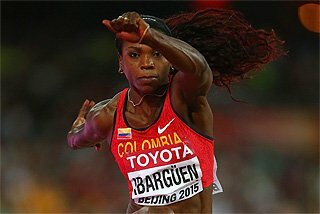 Another much-anticipated clash will be in the women’s 100 metres Hurdles where surprise Olympic champion Dawn Harper will race against Lolo Jones who crashed into a hurdle while in the lead in Beijing finishing seventh in the Olympic final. 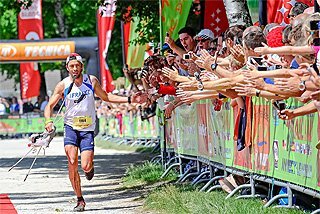 Lolo bounced back on Friday brilliantly winning in Zürich in 12.56. Olympic bronze medallist Priscilla Lopez Schliep from Canada, World indoor 60m Hurdles record holder Susanna Kallur from Sweden, who didn’t even make it to the final, 2004 Olympic champion Johanna Hayes from the USA, and Jamaicans Brigitte Foster Hylton and Delloreen Ennis London. Melaine Walker from Jamaica, the second Jamaican in history to win the women’s 400 metres Hurdles title setting a world seasonal best of 52.64, will be looking for another win in the IAAF World Athletics Tour after first places in Ostrava, Rome, London and Monaco. Tatyana Lebedeva, double Olympic silver medallist in both long and triple jump in Beijing, will renew her battle with Brazil’s Olympic champion Maureen Higa Maggi in a high-quality Long Jump competition. They will be challenged by world seasonal leader Naide Gomes from Portugal who jumped 7.12 in Monaco in July but did not get through the Olympic qualifying round. Another lining up is former Heptathlon star Carolina Klüft who won the Long Jump in Lausanne in 2007. 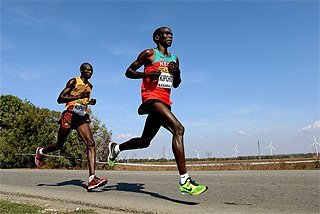 The men’s 800 metres will present one of the deepest fields of the year with Olympic gold and bronze medallists Wilfred Bungei and Alfred Kirwa Yego from Kenya, 19-year-old Olympic 1500 metres silver medallist Asbel Kiprop, 2004 Olympic champion Yuriy Borzakovskiy, Asian record holder and Olympic finalist Yusuf Saad Kamel from Bahrain. The favourite in the women’s 800 metres will be World champion and Olympic silver medallist Janeth Jepkosgei who ran the second fastest time in her career with 1:56.07 in Beijing. 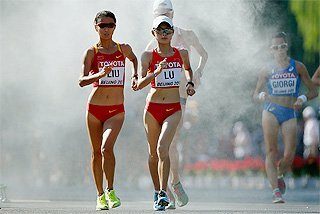 A much-awaited race for local fans will be the women’s 1500 metres. 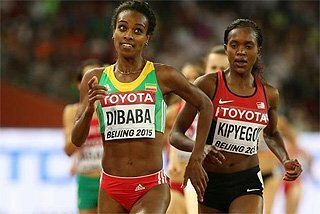 Maryam Yussuf Jamal, who lives in Lausanne and trains in the Pontaise Stadium, will try to bounce back from her fifth place in the Olympic 1500 metres final against Beijing champion Nancy Lagat from Kenya. Jamal improved her PB in the 800 metres running 1:57.80 in Zürich. Kenya is set to dominate the men’s 1500m. African champion Haron Keitany produced a major upset in Zürich winning in a new PB of 3:32.06 beating Olympic champion Rashid Ramzi and starts as one of the favourites in Lausanne. 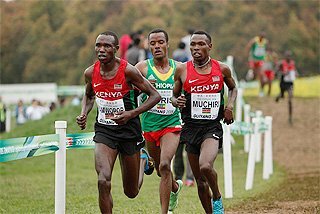 Also in a field are Daniel Kipchirchir Komen and Shadrack Korir, the two fastest 1500 metres men in the world this year with 3:31.49 and 3:31.94 from the Monaco Super Grand Prix meeting, who were not in the Kenyan team in Beijing.